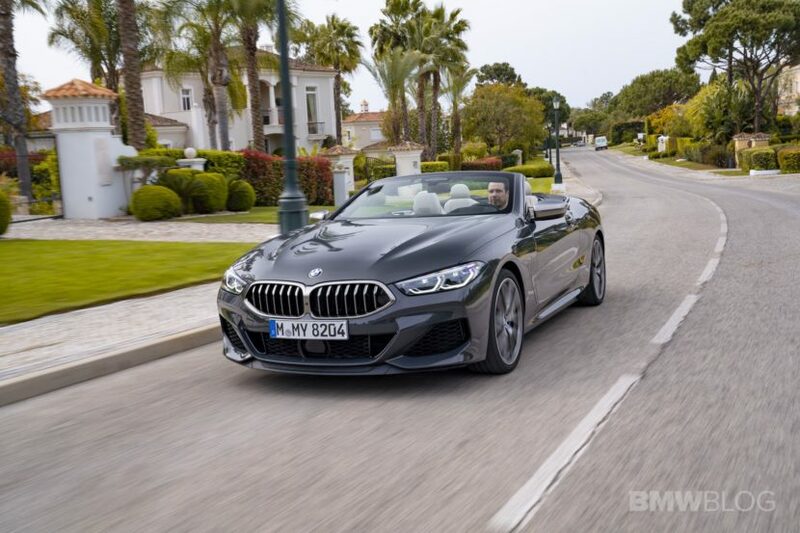 To highlight the offerings in the UKL segment – or short for the upper luxury class – BMW has invited me to Algarve, Portugal to test drive the new M850i xDrive Convertible. Just the day before I was in the new 7 Series along a similar route, so it’s needless to say I was excited to put the top down and experience one of the most powerful BMWs available today. Before I jump into the review, let’s take a look at the high-end segment for cabriolets. Alongside the new 8 Series Convertible, there are some more expensive offerings with their own appeal. The S-Class Cabriolet from Mercedes-Benz is one of them, along with the Bentley Continental GT Roadster and Aston Martin Vanquish S Volante. The 463 HP drop top from Mercedes-Benz starts at $133,300 and comes with a V8 as well, the Volante starts at just under $200,000, so when you look at base price of the M850i xDrive Convertible, you feel like you got a great deal – $122,395 including the destination and handling tax. That’s a cool $9,500 more than the Coupe alternative, in case you were wondering. Customers in Europe do get a better deal by having the choice of an 840d Convertible which starts at 100,000 euros in Germany. 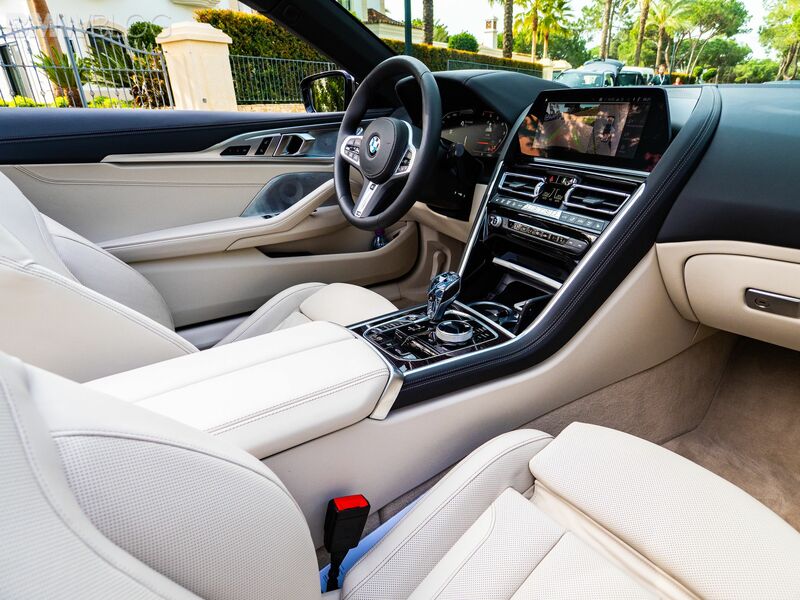 While the standard 8 Series Coupe is muscular and sporty looking, losing the roof adds a beauty. 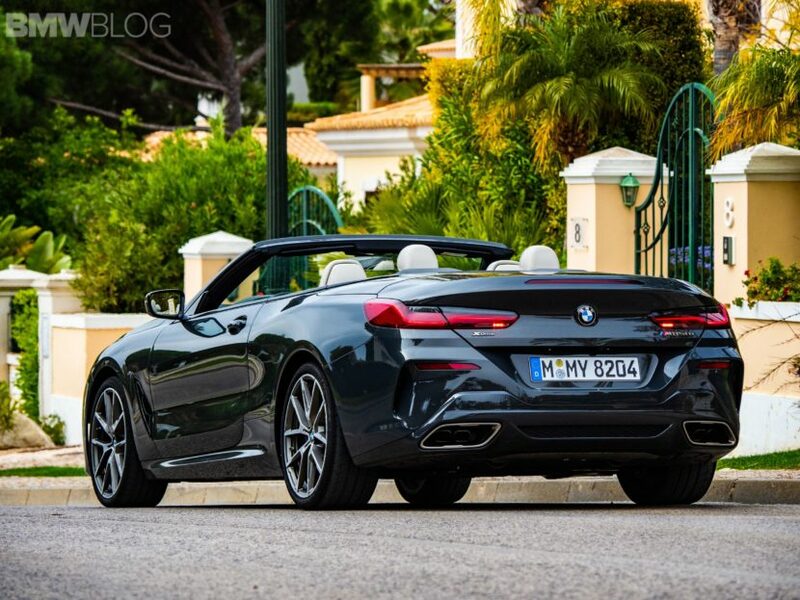 Sans roof, the 8 Series Convertible is equally stunning and luxurious, and while it’s not as flashy as its competitors, it’s certainly elegant and sporty at the same time. It might be understated with the top up, but as soon as you lower the roof, its beautiful design lines turn many heads. 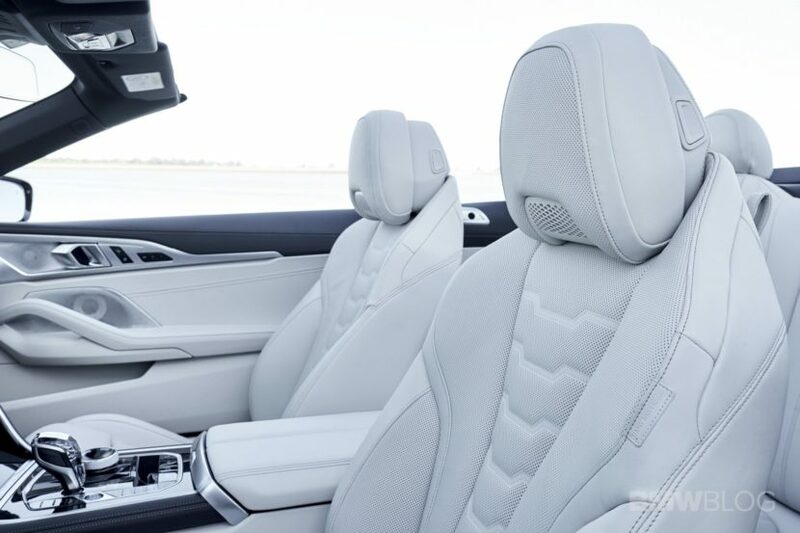 Climbing behind the wheel is quite a treat; the convertible welcomes you with a premium cabin which inherits almost of all its elements from the coupe. 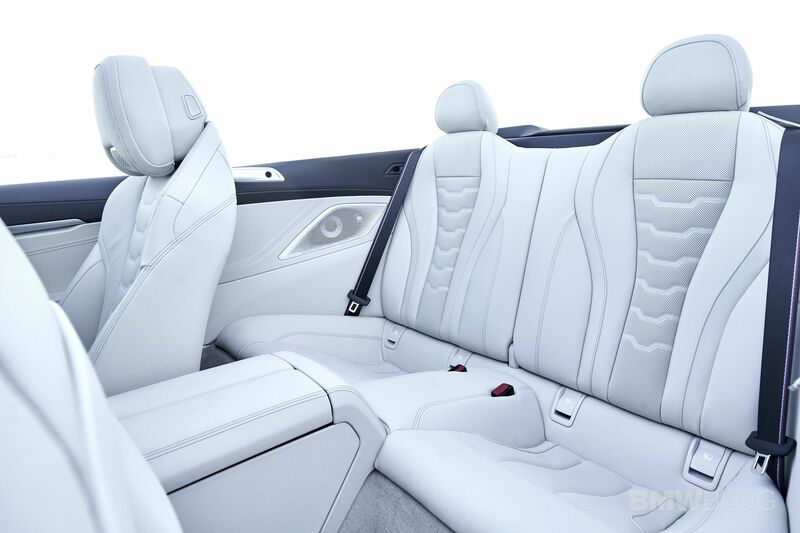 The Merino leather of the front seats in Ivory White is superb and of the highest quality, and when paired with the fine-wood trim ‘Fineline’ copper effect high-gloss, the experience becomes even more premium for the driver. 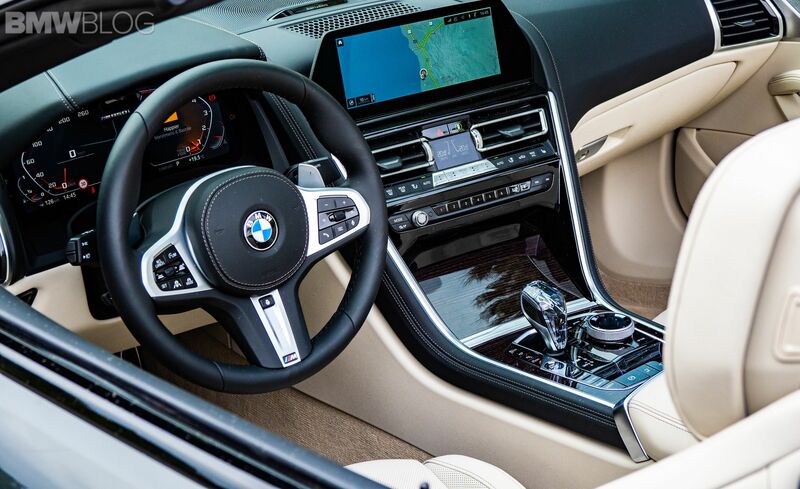 The tech also comes from the coupe-brother, so you’re getting the same dual 12.3 inch screens, paired with the Glass Application in the M850i, and an M Sports steering wheel. Features specific to the M850i Convertible are the neck warmers, for the driver and front passenger, that blow warm air from just below the headrest, to allow an open-top experience even in chilly weather. 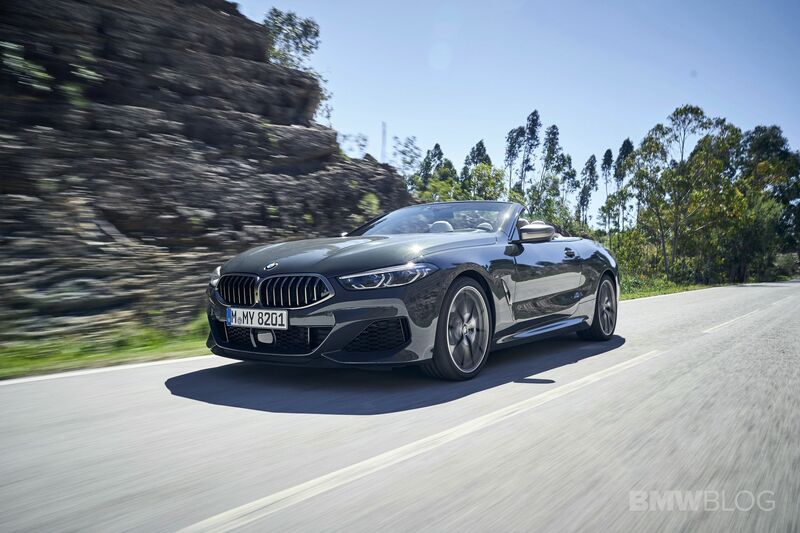 The fabric roof is lightweight and can be raised or stowed in just 15 seconds up to 50 km/h, but as expected, that comes with reduced practicality – the trunk of the M850i Convertible is 150 liters smaller than the 8 Series Coupe. Yet, I was still able to store a carry-on suitcase and a small backpack. Also due to the more tapered shoulder around the rear seats, the passengers in the back have slightly less shoulder room. Nonetheless, the rear seats should really only be used for shorter distances. Customers can also buy an M Carbon package, which adds air intake bars, mirror covers and a rear diffuser. 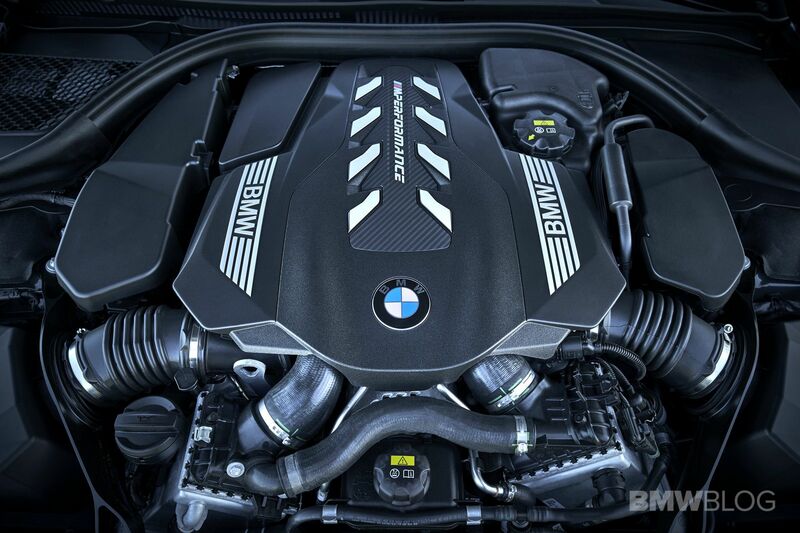 The BMW M850i xDrive model is the top cabriolet in the 8 Series family, so that implies a 4.4 liter V8 TwinTurbo under the hood which produces 523 horsepower and 553 pound-feet of torque — the same as the M850i xDrive coupe. BMW said the convertible will do 0 t0 60 mph in 3.8 seconds, which is 0.2 seconds slower than the coupe. Both models have a top speed of 155 mph. 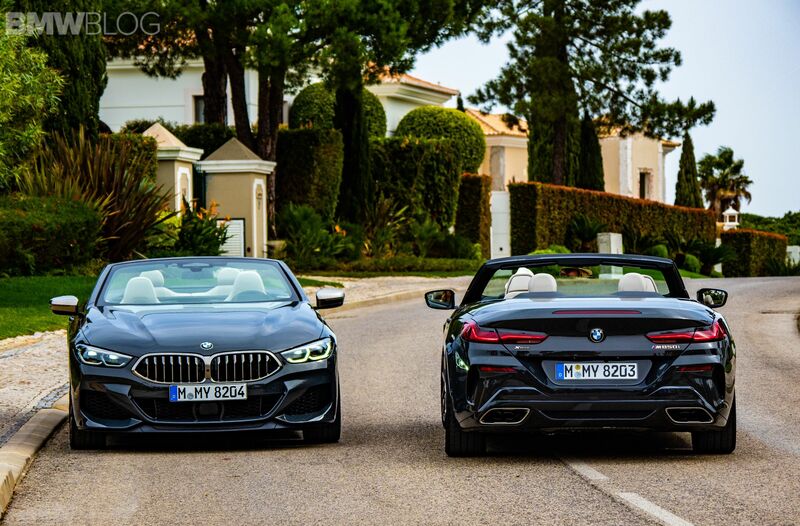 Compared also to the outgoing 650i Convertible (445 hp), this is a significant bump in power and performance. 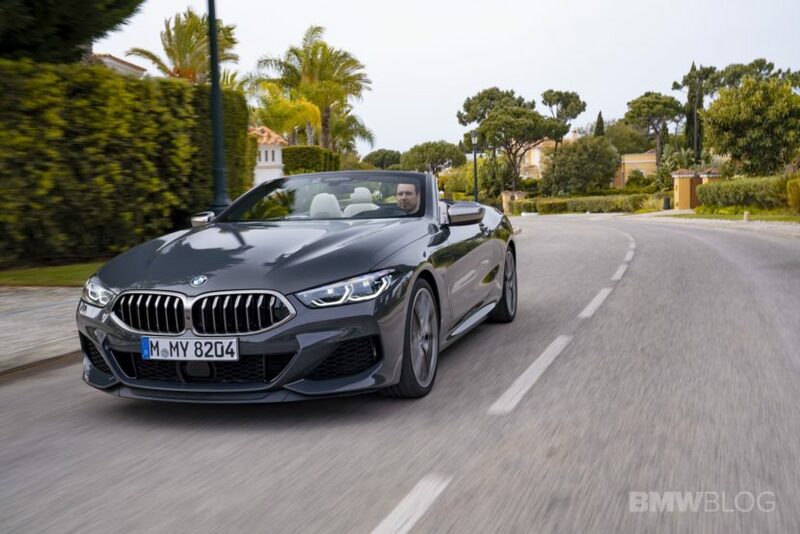 The convertible weighs around 4,740 lbs, which is approximately 260 pounds (117 kg) heavier than the M850i Coupe, so technically, the driving experience should be similar. 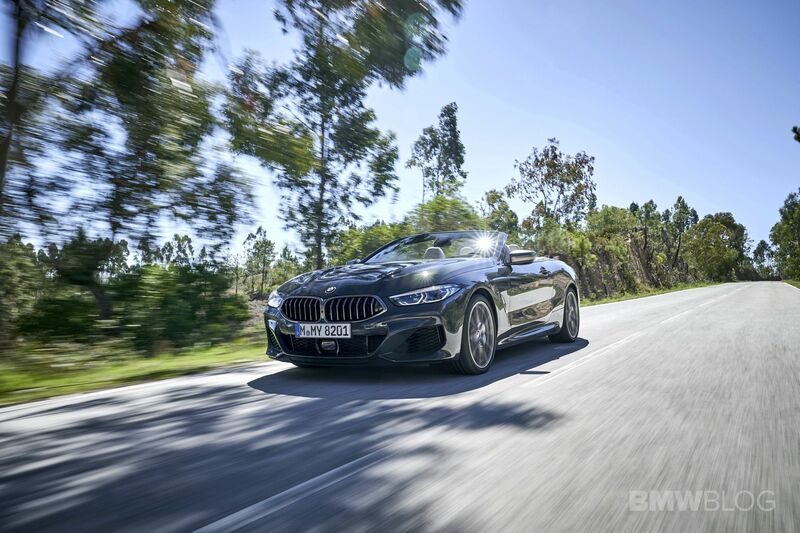 Thanks to its lightweight construction using aluminum, magnesium and carbon-fibre-reinforced plastic (CFRP), the M850i Convertible is also 97 percent as stiff as the coupe. 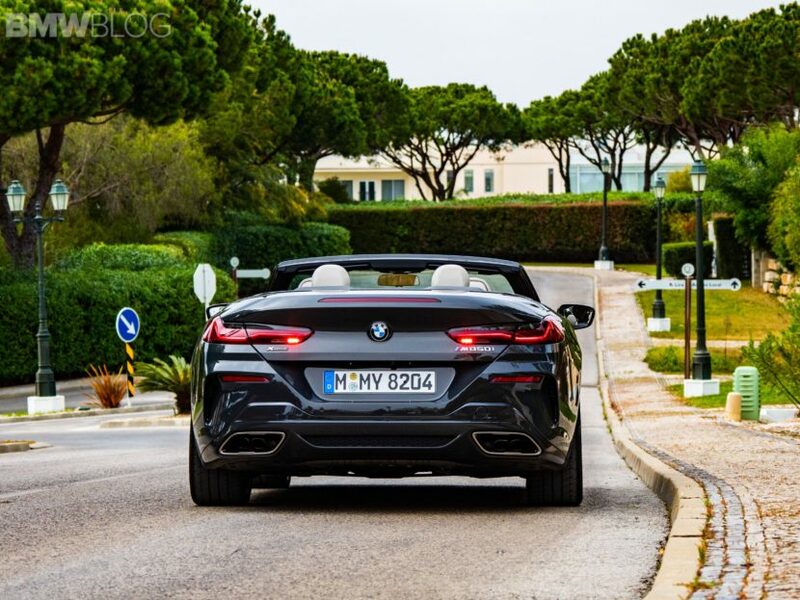 The stiffness is also enhanced in the M850i Convertible by an additional thrust panel under the front axle, stiffer A-pillars and a torsion ring above the rear axle. A new rollover protection system has been engineered for the convertible to protect up to four occupants, so that gives you the confidence to push the car even without a hardtop. The protection system features two aluminum bars behind the rear-seat head restraints. If you’re not familiar to the reasons why we always find ourselves in Portugal, then allow me to enlighten you. Firstly, great weather, almost year-round, which ensures that the weeks-long press drives can continue without interruptions. Secondly, some great driving roads, curvy and fun, with beautiful landscape surrounding them, and most importantly, not much traffic. Thirdly, it’s Portugal – people are friendly and the food and wine is great. In whichever order you prefer. So as you might have guessed by now, I quickly find myself aboard a Dravit Grey M850i Convertible with an xDrive system. Putting grip to the ground is a set of 20 inch Bridgestone Potenza S007 performance tires wrapped around the 20″ M light allow wheels Y-spoke style 728 M Bicolour Cerium Grey. To test both scenarios – with or without the top – I leave behind the beautiful Conrad Algarve and heading towards Faro through the usual backroads. The top is up for now, yet you’re not entirely disconnected from the outside environment. The cabin is of course a bit noisier than the coupe, but that’s not something that I mind considering the excellent noise from the V8 engine. The wind noise with the top up is also insignificant so it won’t impact your driving experience even at higher speeds. But since most customers would buy the M850i Convertible to enjoy the open top feeling, I now push on the button to retract the soft canvas. The digital screen warns me that my speed is above 50 km /h (31 mph), so I slow down just enough to complete the process. Fifteen seconds later and the sun shines upon me, but luckily UV protection has been already applied. At a first glance, and in Comfort mode, the cabriolet’s handling is similar to the coupe, relying on the same confidence stance on the road with smooth acceleration to the top speeds. The steering input is less aggressive than in the sportier modes, the suspension reminds us that in the end this is a Gran Turismo for comfortable drives, while the gas pedal has more travel. The exhaust noise is, of course, a bit neutered, so the drive is pleasant even with the top down and a high speeds. The ZF 8-Speed transmission needs no introduction as well – it’s the same gearbox as in the coupe, so you know that you’re getting smooth and precise shifts, regardless of whether you’re using the fully-automatic mode or shifting through the paddles behind the wheel. To get the blood flowing, I switched over to Sport and later to Sport Plus, which brings a refreshing level of sportiness. The adaptive M Sport Suspension tightens up, giving the luxury cabriolet a firmer ride and stance. The steering wheel gets beefier, so I can immediately experience quicker turns around tight corners. There is plenty of feedback to the road, but that quickly made me wonder if any “regular” driver would notice that, or if that’s something that only us, journalists, care about. Even when pushed hard, the chassis is quite stiff, the ride is firm, so only a professional driver would even notice the slight differences between the convertible and the coupe. 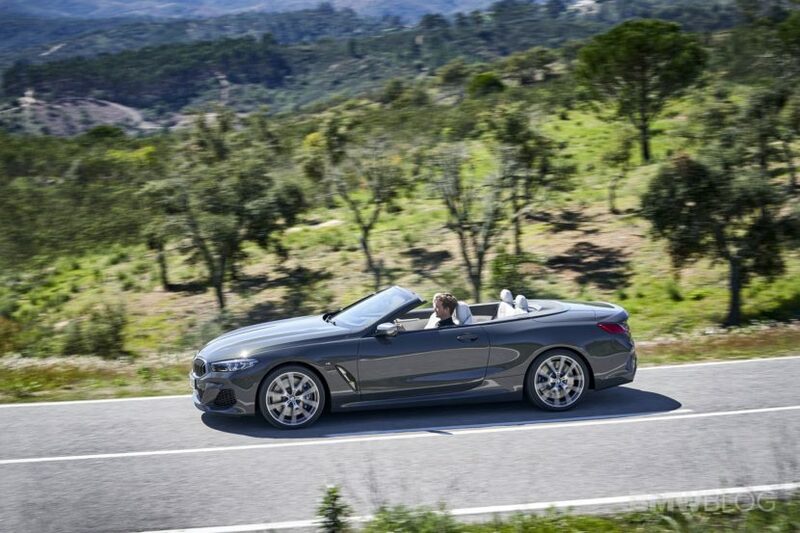 Being accustomed to the roads, I get a bit more adventurous by pushing harder the M850i Convertible into the hairpins. The steering input is immediate and precise, the tires are grippy, while the rear only slides just enough to put a smile on our face – right before the xDrive system kicks in. There is a little bit of body roll and understeer, which I expected considering the car’s size and weight, but again, it’s something that most owners wouldn’t notice. The rear differential is impressive as always, allowing me to have some fun with the car, while keeping it safe on the road. With the top down, the V8 engine and its M-tuned exhaust are the icing on the cake, reminding me once again how much better the TwinTurbos sound. Of course, some part of the sound is still artificially enhanced by the Bowers & Wilkins Diamond Surround Sound System, but that doesn’t take away from the loud growls of the V8. With the wind deflector up, it’s impressive how quiet the cabin is, allowing me to not only have an audible phone conversation, but also to record some footage off my GoPro. A few hundred kilometers later and despite my objections, it’s time to turn in the luxury cabriolet, but before that, the folks at BMW allow me to fly a drone above it for some additional footage. 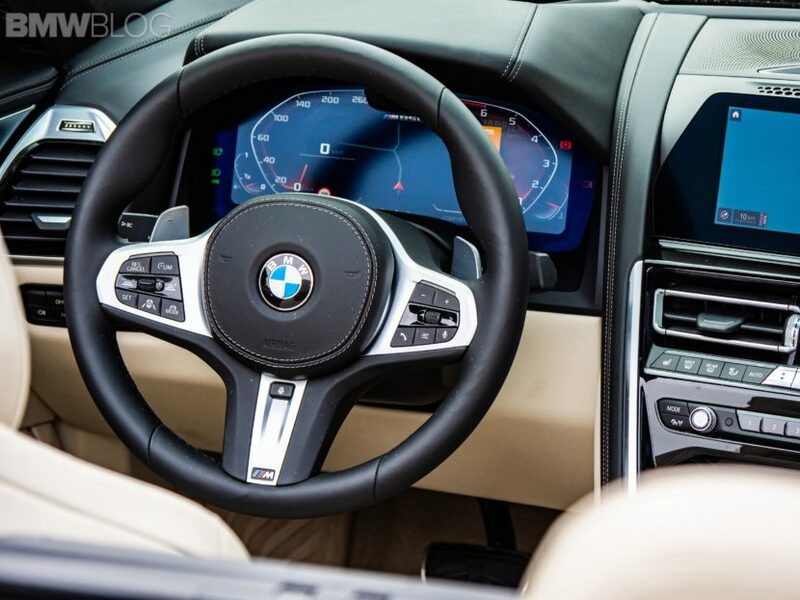 Needless to say, the 2019 BMW M850i xDrive Convertible is a riot to drive, while offering the highest level of luxury and craftsmanship found in a BMW today. It’s truly a high-end Gran Turismo with the added benefit of an open-top experience, and thanks to the xDrive system, it will find a home in areas where the sun sporadically shines. 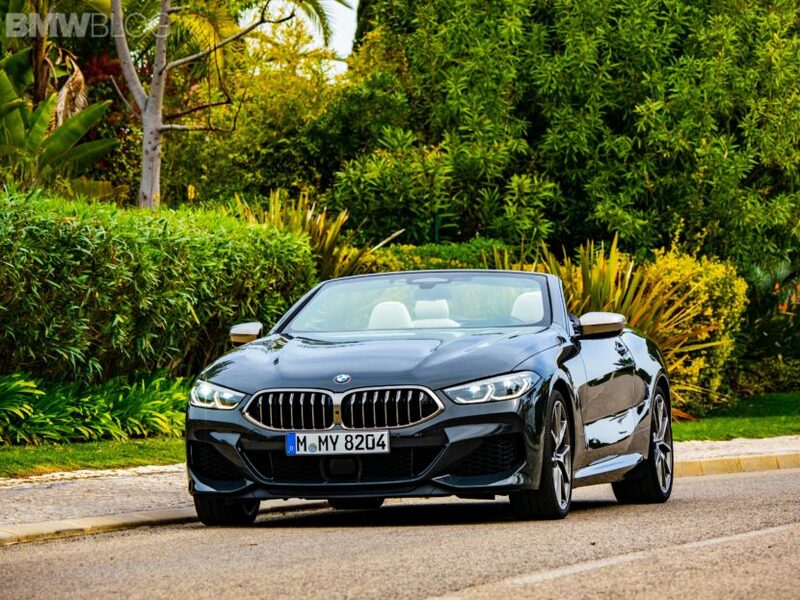 Packed with the latest and greatest tech and driving assistance features, the 8 Series Convertible becomes a reliable and pleasant companion during long drives, and while most cars are just there to get you from point A to B, the M850i Convertible does it in style and with a lot of personality and confidence.